In addition to teaching in the Department of Religious Studies, where he has advised many doctoral students since 1992, Germano is director of the Tibet Center (www.uvatibetcenter.org), director of the Contemplative Sciences Center (www.uvacontemplation.org), and director of SHANTI (Sciences, Humanities, and the Arts Network of Technological Initiatives, www.shanti.virginia.edu) at the University of Virginia. He also is the founder and director of the Tibetan and Himalayan Library (THL, www.thlib.org), the largest international initiative using digital technology to facilitate collaboration in Tibetan Studies across disciplines. His personal research interests are focused on the Nyingma and Bön lineages of Tibetan Buddhism, tantric traditions overall, Buddhist philosophy, and Tibetan historical literature and concerns, particularly from the eighth to fifteenth centuries. He also does research on the contemporary state of Tibetan religion in relationship to China, and non-monastic yogic communities in cultural Tibet, and has broad intellectual interests in international philosophical and literary traditions, including hermeneutics, phenomenology, literary criticism, systems theory, and so forth. Germano has developed a deep expertise in the use of digital technology to facilitate innovation in teaching and research in the humanities and social sciences. In the context of THL, he has worked extensively on digital initiatives with geographical data, videos, images, dictionaries, gazetteers, and much more in partnership with scores of scholars from diverse disciplines  geography, linguistics, history, literary studies, environmental science, film studies, and others. With SHANTI, he has broadened this work to focus with others on building a community-based model for mainstreaming digital technology at UVa so as to enable innovation in teaching, research, publication, and engagement. Germano has also been a leader at building academic collaborations with Tibetan institutions, and has facilitated a broad array of exchange programs that have included language instruction, oral traditions documentation, geography, tourism, education, library development and much more. In this context, he has been an advocate of engaged scholarship which actively explores the way in which scholarship impacts on, and empowers, the communities with which universities are involved in complex relationships. This includes the exploration of alternative paradigms of knowledge production and knowledge dissemination. 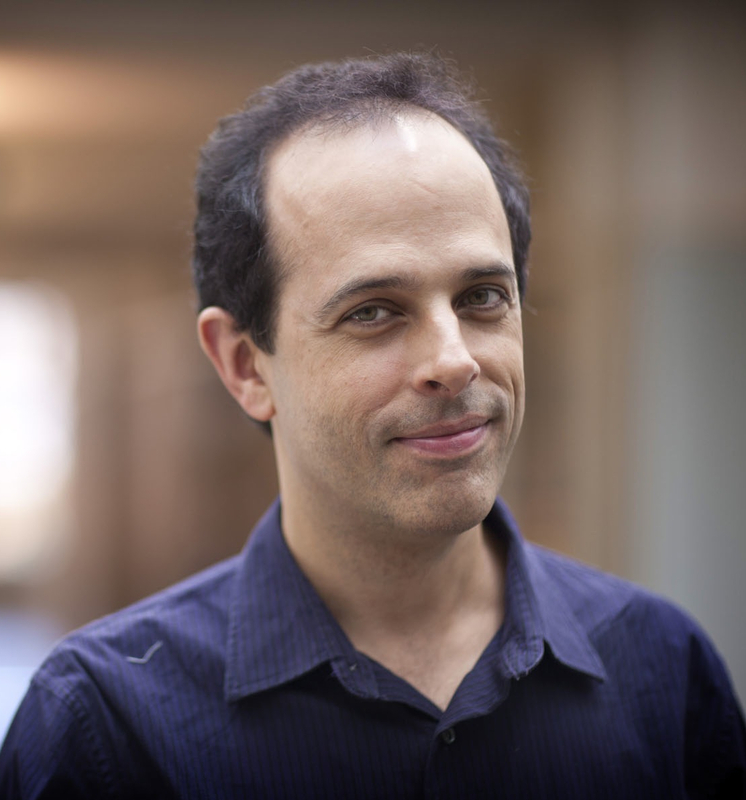 Since 2012, Germano has directed UVa’s new Contemplative Sciences Center (www.uvacontemplation.org). He works extensively with each of the eleven schools at UVa to explore learning, research, and engagement initiatives regarding contemplation in their own disciplinary and professional areas, as well as new partnerships across the schools. In this capacity, he has helped design and launch a variety of learning and reserach initiatives in contemplative learning. Germano is currently returning to work on a fourfold set of works that constitute a comprehensive analysis of the Great Perfection Seminal Heart (rdzogs chen snying thig) tradition from its formation to its full expression in the fourteenth century with the corpus of Longchenpa, one of the greatest of all Tibetan Buddhist authors. This includes a translation of his major work, The Treasury of Words and Meanings (tshig don mdzod), a historical study, a philosophical study, and a literary study of the tradition. He is also working on a powerful cultural geographical system that is collaboratively publishing scholarship on historical and contemporary Tibetan and Himalayan places, communities, and cultural traditions across many disciplines, as well as fundamental scholarly resources – analytical data on places, maps, images, videos, bibliographies, and more. This publishing platform includes an extremely powerful Gazeteer, GIS-based mapping, and associated multimedia repositories. This includes working on a site involving the promotion of community-based tourism in Tibet, which aims to connection scholarly production of knowledge on Tibetan places and communities to actual benefit to the communities involved. Germano is also involved with coordinating others at a larger project at participatory knowledge production that enables Tibetans and Tibetan communities to be fully empowered agents in the global network of how knowledge gets produced about their own places and traditions. He is co-directing an initiative on the Tibetan Buddhist canon, which includes a detailed catalog, scholarly editions of the scriptures themselves, scans of the manuscripts, and scholarly summaries and analysis. This includes multiple editions of the Kangyur and Tengyur, but also ongoing work on the Nyingma Gyubum, and other collections of Tibetan Buddhist Literature He is directing the historical Tibetan Dictionary, which has built a powerful online platform for soliciting and publishing detailed historical studies of Tibetan words, including integrated citations of the usage of words in Tibetan literature. A new project which is not yet public involves the creation of sophisticated event management system for the documentation of Tibetan and Himalayan historical events. Germano has been PI for fellowships, grants and gifts totaling roughly thirty million dollars, including grants from the Department of Education, National Endowment for the Humanities, US State Department, Luce Foundation, Mellon Foundation, and many others. Germano, David F. (2000-present, director), The Tibetan and Himalayan Library (www.thlib.org). Within this international project, I am the director and/or facilitator of multiple major collaborative projects involving technology in GIS research, language instructional materials, dictionaries, literary archives, ethnographic research and historical work. This is the largest international initiative in Tibetan Studies involving digital technology, multiple disciplines, and multiple institutions. See there for major Web publications involving Tibetan literature, music, geography, and other subjects. It is also leading efforts at integrating academic work with community services initiatives in Tibet. I am the primary person responsible for the Library’s structural design, social networks, and intellectual program, as well as being active in one way or another in almost every major project therein. Germano, David (2007). “Re-membering the Dismembered Body of Tibet: Contemporary Tibetan Visionary Movements in the People’s Republic of China.” An abridged version published in Defining Buddhisms: A Reader, edited by Karen Derris and Natalie Gummer in the series “Critical Categories in the Study of Religion,” edited by Russell T. McCutcheon for Equinox Publishing. Germano, David (2007). “The Shifting Terrain of the Tantric Bodies of Buddhas and Buddhists from an Atiyoga Perspective.” In The Pandita and the Siddha: Tibetan Studies in Honour of E. Gene Smith, edited by Ramon Prats. Amnye Machen Institute. Germano, David and William S. Waldron (2006). "The Arising of Ālaya: History and Doctrine." In The Buddha’s Way: The Confluence of Buddhist Thought and Contemporary Psychology in the Post-Modern Age, editor D. K. Nauriyal, Routledge Curzon Press. Germano, David F. (2005). "Atiyoga/Great Perfection." In Encyclopedia of Religions, Macmillan Reference USA. Germano, David F. with Gregory Hillis (2005). "Tibetan Buddhist Meditation." In Encyclopedia of Religions, Macmillan Reference USA. Germano, David F. with Gregory Hillis (2005). "Klong chen rab ‘byams pa." In Encyclopedia of Religions, Macmillan Reference USA. Germano, David F. (2005). “The History of Funerary rDzogs chen.” In the Journal of the International Association of Tibetan Studies, vol. 1 , www.jiats.org. Germano, David F. with Eveline Yang and others. "Tibetan Furniture Making: Traditions and Innovations" (2004): a documentary produced and exhibited at the "Wooden Wonders" exhibition, Pacific Asian Art Museum in Los Angeles, November 2004. Germano, David F. and Kevin Trainor, eds (2004). Embodying the Dharma: Buddhist Relic Veneration in Asia. SUNY. This volume of essays on Buddhist relic traditions across Asia is drawn from our four year seminar on the subject in the American Academy of Religions.